The new season is approaching now and you will be making plans. Farming is different from other businesses in that every year you have to start again (almost from scratch). Where you had your crop last year will be lying bare (hopefully with some stover on the land) and it is ready for the first summer rains which will allow you to start preparations for the coming season. Many people had a very good crop last year – this year is a new start again and if you are to succeed again then you will need to do everything right again. Remember to buy the correct amount of the right fertiliser, the most suitable variety of seed for your area, and the war on weeds will never be over. This is a very important time in your crop production season as the decisions you make now will have a huge impact on the crop. Try to take the right decision even if it will involve more work for you, and possibly cost more – you should be rewarded for your increased investments. 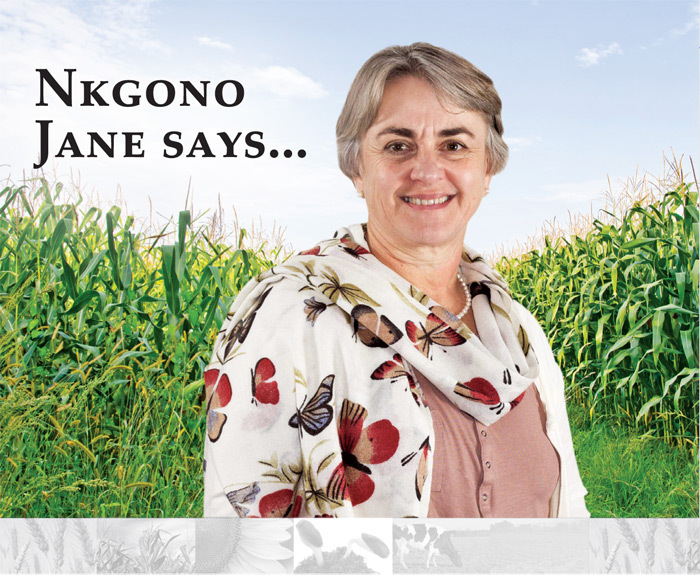 Having a really good maize harvest has been good in many ways – your household has food, you can sell the surplus and also the livestock that you keep can be better fed. However, you will have notices that when there is a very big crop, the price drops – this is the result of ‘supply and demand’. When something is scarce, people are prepared to pay more for it – when there is a surplus, the price drops because not many people are needing it (as they can buy it easily somewhere else). We can learn some good lessons from this – build a relationship with your local market, always supply the best quality, negotiate prices early in the season (if you can), and also look into planting alternative crops. Dry beans are often a very good option for smaller farmers as there is always a good demand for beans and the price is good. Keep in mind that consumers need a variety of foods and you can supply a range to them. While it is quiet on the farm, it will be good if you can attend training courses and study group meetings so that you gain information – the more you know, the better you will do! We wish you a blessed season.